Although I thanked Cee via email last weekend, I have taken a while to publicly thank Cee. So I would like to take this opportunity to thank Cee once again for conferring this award on my blog. It was totally unexpected. Knowing that we can leave the kids in charge and that they are old and responsible enough to manage. This year our special moment(s) have been spent in Africa. We expected to see animals but not as at such close range. Our hosts from Imagine Africa 4×4 Safaris and Sausage tree Safari Camp were the best I ave ever come across. Plans for a Pacific holiday have been ditched in preference for another trip to Africa. Our travelling companions also made the trip an enjoyable experience and hopefully we can stay in contact, even if it is only via email. 4) What’s your favourite quote. I love JFK’s “Ask not….” quote. There are times when many of those younger and the very young could/should take note. Martin Luther King also gets a guernsey for his, “I have a dream…..” speech. Again, there are times when I think the world is nearly there…only to find we have taken one step forward and three steps back. However, depending on the situation there are many others. I am a bit of a night owl and tend to sit up until the Melbourne and Sydney fireworks have run their course. We have a big front and back yard so I will stick with landscaping as well as some ready-made trees to shelter us from harsh winds. 8)What was your favourite class when still at school? French all through high school and add physics in my last year. 9) What musical instrument have you tried to play? I tried to learn to play a banjo in my early teens, took some guitar lessons but mainly taught myself to strum a few chords…can’t play any thing now. And I always had to play right-handed which did not make it any easier…..
10) Anything you had wished to have learned earlier? I wish I had learned that you are never too old to learn at a much earlier point in my life than I did. However, even being a bit slow off the mark, I still think that my timing has been reasonably good. I now encourage others to achieve and have the patience and empathy with older students and understand their frustrations, having experienced most of them myself. 11) Do you like to do Crafts, Drawing or Painting? The only thing approaching any of these is my love of photography and making home movies, in the past. An occasional bit of woodwork, but again I rate my ability with a camera as higher. 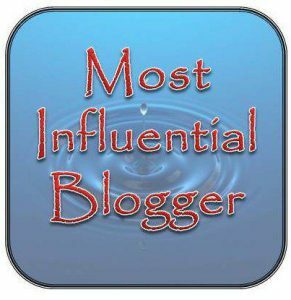 I would like to pass on the Most Influential Blogger Award to the following bloggers. In the nearly nine months since I commenced WoollyMuses blog these bloggers have in some way assisted me and influenced me to keep going. 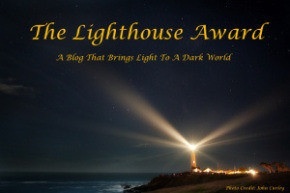 Some are award free blogs. Please don’t be offended if your blog is one. I can read 🙂 I am just taking this time to say thank you for your help and I hope you enjoy the mention. I totally understand if any blogger does not wish to participate. I just wanted you to know that I think your blog is great. Over the past few weeks WoollyMuses has been nominated for the below awards. While totally unexpected they were received with pleasure. I am glad that my Muses have been well received by my seventy or so WordPress followers and all other bloggers who have visited WoollyMuses. The awards have also given me the opportunity/excuse to play around with my blog, add a new page, links, etc. If I have breached WordPress/blog etiquette by displaying these awards….please tell me. Please! Nicely will do! Or contact me at dc2012@y7mail.com and I will gladly rectify any errors. Click, or tap, any image for more information regarding how I received these awards.